We are nearly done with 4 weeks of the NFL season and there are still players making an impact each week. The QB position continues to dominate, at least in the leagues I play but owners are always looking to put up depth at the RB/WR position. We continue to see some drafted players off to a slow start, but worse more injuries this week. More big names find themselves on the sideline, this week it includes Rashard Mendenhall (hammy) and Andre Johnson (hammy, awaiting MRI). This is the first watch list to include a QB on it as well. Chance are he is available in most leagues and with the weapons he has might be worth a bye week cover. We also have some names returning from previous weeks. The biggest hit off the watch list far has to be Eric Decker, who I was on before the season began (Watch List #1). He scored two more touchdowns on Sunday for a total of 5 on the season. If you are in need of talent or looking at an 0-4 starting and hoping to change you luck, you might take chance on the wire and make some moves. We are now about a third of the way through the head to head season and the “marathon” is shortening up to a soon to be sprint. Good luck! It’s only taken 4 weeks now and I have finally added my first QB to the watch list officially. Dalton has been impressive for Cincinnati to date. As with any rookie QB, we must lower our expectations, but in spot starts against select defenses Dalton could put up good numbers. He has Gresham (TE) and rookie sensation, AJ Green at WR. He still has some timing and overthrow problems, but as he matures and grows he will improve. If you need a bye week cover you might give him a look. CIN plays @JAX and home to IND before a week 7 bye. It is expected one of these two WR will step up to help fill the hole after the season ending injury to Kenny Britt, now that Nate Washington is the #1 WR. Their totals don’t necessarily excite, then again Hasselbeck was only 10-20-220, so this was nearly a third of his passes. Going forward I am higher on Hawkins, but it was Williams with the TD yesterday. Keep an eye on both and see how they progress. With injuries to Dez Bryant and Miles Austin, DAL resigned Robinson about 2 weeks ago to help fill the void. He could of have seen his best game already unless Jason Garrett starts him over Ogletree when Austin returns from injury after week 5. Be wary of this pick up, might be best to wait and watch to see how Austin progresses the next 10 days or so. Morgan is another player stepping up after injuries to Braylon Edwards and an ongoing foot problem with Michael Crabtree. Morgan hasn’t been too impressive the first few weeks of the season, the 49ers are now 3-1 and Morgan did grab his first TD and has nearly matched last year’s totals. SF does play in the NFC West, he could have some good match up games down the schedule. This is the second week that Cruz makes the watch list. In the forums I saw many asking the question, “Manningham or Cruz?” Over the course of season I still believe Manningham is the better WR, but over the last few weeks it’s been Cruz making the most of his opportunities. He has 9-208-2 TD the last 2 weeks for the NYG. With BYE weeks upon us, you might make a grab for Cruz if you are in need of a WR. There hasn’t been much fantasy value out of SEA, but quite a few players are on the wire. Outside the obvious players, Doug Baldwin has now put up 2 weeks with 80+ yards receiving playing opposite of Sydney Rice. Much like Josh Morgan, he might be a nice BYE week cover or spot starter. Andre Johnson went down untouched with what was initially reported as a knee injured, later changed to a hamstring. While we wait for the MRI to reveal the extent of the injury, Jacoby Jones might be a player who will fill the void left by AJ if he is out any extended period of time. Week 5 will be a match up against the Raiders. It hasn’t been a good year for Mendenhall owners, now with him exiting the game yesterday in the fourth quarter both Redman and Moore filled in nicely. Redman would be the back to grab if the injury is of any duration or Mendy’s status is in question from here on out. The “Shanny-Go-Round” has started. Rumors swirled early in the week about Torain and it happened Sunday, but he had an immediate impact! Until Sunday Torain had no carries this season, but now owners will have big decisions to make after Washington’s week 5 BYE week. Pick up with caution though, as Torain can’t stay healthy. Another carousel that continues to go round resides in New England, where BGE is now splitting carries with Ridley, who ended Sunday’s game as the leading rushing for the Patriots that included a 33-yard TD run. BGE is still the back to owner, but if Ridley keeps up this type of performance BGE may lose more than just a few touches each week. Also keep an eye on the injury sustained by Danny Woodhead (ankle). Another Titans player who needs to step with the injury to Britt is Cook, who looked more like a receiving on his 80-yard TD catch and run. Unfortunately with only 10 completions by Hasselbeck, Cook only caught one other ball on Sunday. This year is TE heavy, but Cook might get a bump due to the unfortunately injury. 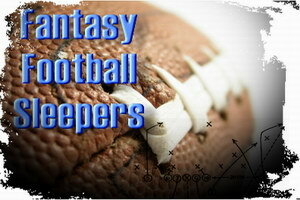 Now that week 2 of the NFL is almost in the book we can look forward to waiver wire activity. Probably the most notable injury of the weekend was the loss of KC Chiefs RB, Jamaal Charles who torn an ACL. 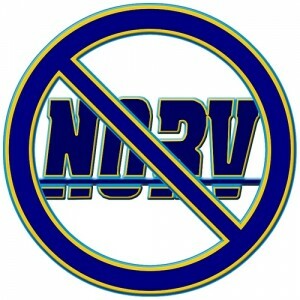 He wasn’t the only one add to the list, Tony Romo, Mike Vick, Felix Jones, Miles Austin, Eddie Royal and Jordan Shipley. Unfortunately injuries are part of the game and I don’t believe all of these can really be attributed to a short camp, but just bad luck. Remember Russ Bliss is always talking about needing to be lucky in fantasy football. This could be one of those years. We are starting to see a trend in the NFL with some regular names that are making the watch list. This is watch list #3 and we welcome back a few players at the TE position. This position is coming on very strong this year and while the elites have been somewhat quiet to start the season a few of the “other” tight ends have been putting up the yards and finding the end zone. There does seem to be some new names out there that continue to put up some stats. They may not be the household names we are used to, but when injuries hit and you are looking to make a move you must look for the best available. Many owners have asked a similar question, “What should I do with Peyton Manning?” Personally, I dropped him last week. I needed the slot and figured Eric Decker (WR, DEN) would be more worth in the short term than Manning would be. If he comes back to beat me in the playoffs, so be it, but holding on to him for the next 6 to 8 to 10 weeks isn’t going to do me a bit of good when it comes to providing me with options. If you can’t stick him on an IR, I would drop him. Hard to say who will be the “go to guy” in Kansas City now that Jamaal Charles has been lost for the season due to the ACL. McCluster is more dynamic and could see more touches at the RB position. He did carry 8 times on Sunday for -2 yards. Thomas Jones is 33 years old and will probably see a bulk of the work load; he still has the ability, based on what we saw last year to make an impact. At best he would be a #3 RB or flex option. Considering the problems the Chiefs are facing neither of these players are too high on any of my want lists. The rookie had his best showing to date with a 10-74 yard performance on the ground and 3-38 yard receiving. He is still the clear cut back up to Hightower who continues to play very well in the starting role. While Helu is not worth starting at this point, he could be worth stashing on your bench for later in the year. I do expect Hightower to slow his role and the Redskins to hit a funk, which means Shanny could unexpectedly make a change at RB. He has done it before. With all the talk about Ryan Grant being able to recover from his injury and make a comeback and James Starks being more explosive on the field when carrying the ball, it’s been John Kuhn with 2 TD to lead the rushing attack. Not that a 3-6-2 TD is overly impressive, but we have see it now 2 weeks in a row that McCarthy has turned to his big fullback to pound the ball in from short yardage. So forget the controversy, maybe Kuhn is the short yardage back who will get you 7-9 TDs this season from very short yardage. Unfortunately his very low number of touches could frustrate you as an owner. While Chandler wasn’t as big a part of the offense Sunday vs the Raiders, he did manage 2 catches, one for a TD bringing his season total to 3 TD. He now has 8-87 yards as the Bills are 2-0. Not a household name, but Fitzpatrick has been doing a very good job spreading the ball around, yesterday Chandler only had 2 receptions, but as long as 6 points continue to go up on the board you might keep him in mind at a league that is becoming deep at the TE position this season. This is the second watch list for Evan Moore and 2 weeks in a row that McCoy has targeted Evan Moore in the red zone and connected for a TD. Not a big production day for him as the 16-yard strike was his only catch of the day. Still hard to ignore 2 in 2 weeks for Moore and Cleveland as McCoy is looking more comfortable running the West Coast offense. Cooley was active for WAS but once again it was Fred Davis who took top honors for the now 2-0 Redskins as he hauled in 6-86-1 TD in Week 2 vs Arizona. He continues to be targeted by Grossman, 7 times total on Sunday and now has 11-191-1 TD on the season. Currently he is the top receiving option in the capital. This is another TE starting off the season having a break out year. This is the third and most likely final week that Decker will be seen on the watch list, With injuries to Lloyd (inactive on Sunday), a groin injury to Eddie Royal and Demaryius Thomas still on the rack, Decker took advantage of the situation and probably should be the #1 waiver claim at the WR position this week. He had 5-113-2 TD. With a rash of injuries, he should be owned in all leagues and started in many formats. I had Nelson listed as a “notable” after Week 1 and Sunday vs Oakland he ended up leading all Buffalo receivers with 10 catches, 83 yards, which included a clutch TD with :14 seconds in the game to beat the Raiders. On the season Nelson has 14 catches to Steve Johnson’s 12 catches. He could be another option at a very deep WR position to own or watch. With injuries piling up, chances are he should be grabbed off waivers as long as Fitzpatrick continues to play very smart football. When we think TEN, we think Chris Johnson, but with the holdout Hasselbeck has been more active in the passing game the first few weeks. That bodes well for guys like Britt and Washington. The big difference between the two players, Britt has 3 TD and Washington has none. Still Washington has 13 receptions and on Sunday was targeted 11 times (7-99 yards). Hasselbeck has been the difference maker bringing the passing game back to TEN with the rushing game suffering. It’s more often than not I wish we lived in the U.K. where the nation’s sport was football. No, not the American kind you find owners locking out players over their collective bargaining agreement and not being able to agree on $9 billion. That’s the NFL for you. This weekend kicked of the action in the English Premier League. Unfortunately being stuck at work on opening weekend I was only able to catch parts of about 4 games, along with highlights from the day. For me the match of the day was Liverpool v. Sunderland. After the frustrating 2010-2011 season for L’pool it started off on the wrong foot with a draw against the Black Cats. After missing a penalty shot, Luis Suárez redeemed himself with a 12′ goal. That lead would last until 57′ minute when a beautiful volley found the far side of the goal from Sebastian Larsson. An early season goal that could end up being the goal of the year. Not too surprising to see four games end in draws on Saturday, including the Gunners v. Newcastle and Joey Barton. Barton was deliberately stepped on by Alex Song, the officials missed it and that incident led to a later disagreement that involved Barton and Gervinho, who was red carded. Today we will see how Manchester United starts against West Brom and Chelsea against Stoke City. Monday we will see other big off-season spenders, Manchester City v. Swansea City. It looks to be another great season in top flight football in the EPL. I plan to be very involved watching this season, as well as Serie A and the battle at the top in La Liga! Also great to know the Mexican League is very early to watch on Saturday afternoons. Viva Cruz Azul! 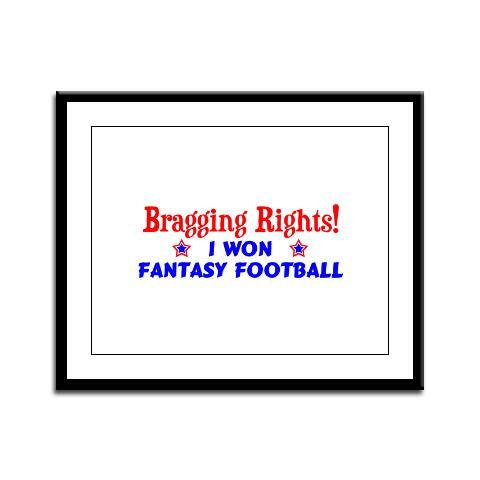 I am excited about the upcoming fantasy football season, now that the lock is over and both sides came to terms on a CBA we are moving rapidly towards the August 11 start date. While this is my 28th year managing the TFL, the Toumi Football League, it’s my second season using Fantasy Football Starters, which boasts the nationally syndicated radio host and anaylst, Russ Bliss. I am in no way affiliated with RSGFS or FFS (outside of being a moderator on the forums), I am just like the next fantasy owner, looking to get an advantage or edge over my competition in the two leagues I play in. This year has already started out differently than last year, as I was provided a copy of ‘How to Win at Fantasy Football: Secrets of Gridiron Greatness‘ by Russ Bliss. I received this eBook when I signed up with the Championship Package at FFS for $24.95. 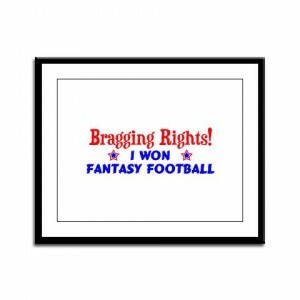 I know a lot about fantasy football, 28 years of experience is a wonderful thing to have when you bring opinions and information to forums and share insight with other owners. I must say I was highly impressed with the eBook overall. While some areas did not really pertain to me, for example Chapter 1 on setting up a league. For the most part I read every other chapter (except Chapter 7 on Auctions) and I must say I learned quite a bit of new information. Who says you can’t teach an old dog new tricks? There are some new guides I will be using this year that Russ brought to light last year. One is called FP/PG or Fantasy Points Per Game. This stats takes information from NFL.com and incorporates it into a formula to provide a better value of what a given defense gives up in terms of fantasy points. It’s sheer genius and so simple of a concept to understand and implement on a weekly basis. Of course it will take a few weeks (4-6) weeks of data in the upcoming season to truly get a sense of how stingy or loose a defense is. Another factor that either I missed or never realized was out there is called VDB of Value Based Drafting. Behind this strategy is a concept called the Average Value Theory that uses the “average fantasy point s scored at each rank within a position” (source Russ Bliss). Much like FP/PG the AVT and VDB are simple yet accurate enough to provide you an edge when it comes to drafting your team. This year I plan on using my strategy I have developed over the years. It’s not all that impressive and you can read just how I used it last year, when I decided to take the challenge and use Russ Bliss’s Draft Strategy. Unfortunately I made a vital mistake in the 3rd and 4th round that cost me the season when I threw the towel in at Week 10. With every new season comes a chance at redemption, when an owner looks to draft as smart as possible making every draft pick count. Now that I am a year smarter and armed with new information I can immediately take advantage of I am looking to win both leagues I play in this year. As I mentioned my strategy as the draft approaches (Aug 19) is much the same it has been over the better part of 10 years. While I don’t win every year it is a proven strategy to keep me in contention. This year with the use of new tools I plan on setting the bar and have all other teams looking up at me.